U.S. Sen. Marco Rubio painted Russia President Vladimir Putin Thursday as a tyrant who runs a brutal, corrupt, and repressive regime that murders opponents, seeks to destabilize western countries including the United States, perpetuates war crimes, and does not represent the Russian people. In doing so, Rubio called on the United States to stand up for the rights of Russians and do all it can to oppose Putin. 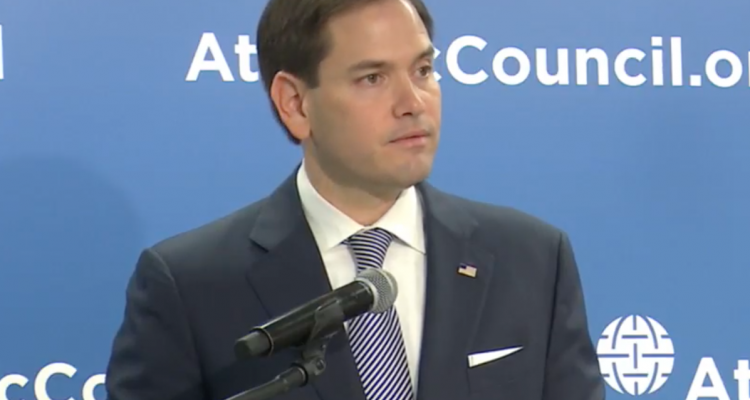 “It’s not Putin’s Russia, it’s Russians’ Russia,” Rubio said in a speech Thursday to the Atlantic Council, a nonpartisan, mostly moderate, international affairs think tank. Rubio, Florida’s Republican U.S. senator, was one of three keynote speakers addressing the Atlantic Council Thursday morning on the topic of “The State of Human Rights in Putin’s Russia.” He was joined by a fellow member of the Senate Foreign Relations Committee, Maryland’s Democratic U.S. Sen. Ben Cardin; and Russian dissident Vladimir Kara-Murza, who has survived two apparent assassination attempts by poisoning. 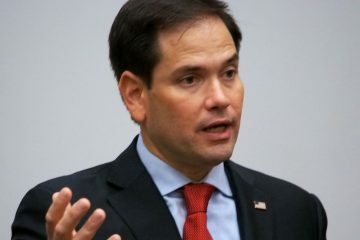 Rubio made no overt criticisms of President Donald Trump or his administration for their friendly overtures and statements toward Putin; nor did he make any comments associated with the investigations into whether Putin and Trump’s election campaign may have conspired in any way to influence last year’s American elections. However, Rubio did state matter-of-factly that Putin sought to interfere in the American elections. And he called on “the new administration” to adopt policies encouraging human rights and democracy abroad. “We all have read and have heard and will continue to hear n the weeks and months to come Putin’s efforts to meddle in the democratic elections in Europe, just as he attempted to influence our own elections here in the United States last year,” Rubio said. 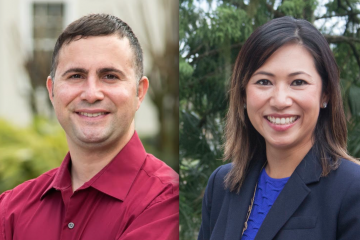 “As the new administration now continues to shape its foreign policy and national security strategy, I truly believe it is critical for them to include human rights and democracy as elements of any broader engagement of any country in the world. And Russia is a perfect example of why this is true,” Rubio added. Ironically, both Rubio and Cardin cut their remarks a little short and left early to catch a meeting of the Foreign Relations Committee, and then the Senate Intelligence Committee, where such matters were at hand. Rubio drew attention to Putin’s critics, “mysteriously poisoned on multiple occasions, thrown out of windows, murdered, all this just this year alone, and we’re only in March.” He also drew attention to last weekend’s large opposition rallies, made up largely of young Russians, which ended with crackdowns and hundreds of arrests.